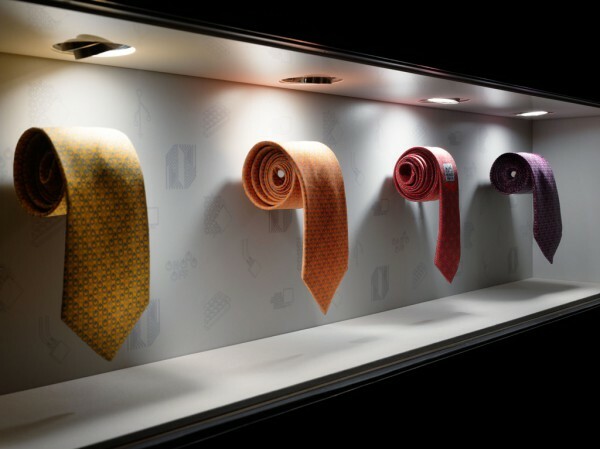 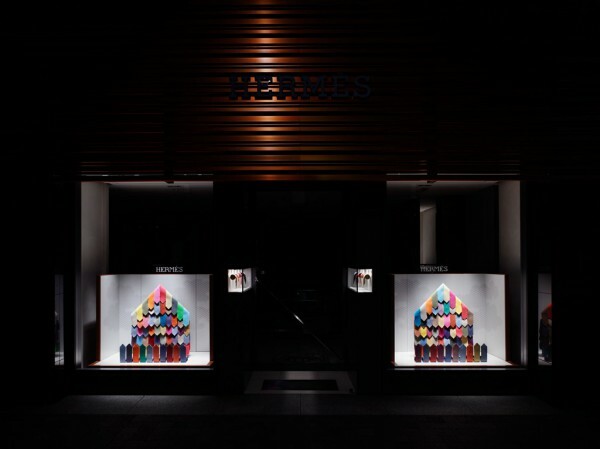 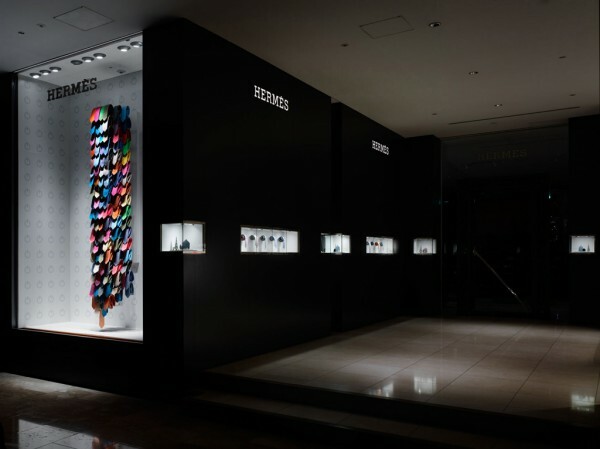 We designed the shop windows for ‘8cm Tie” at Hermès boutique in Marunouchi and Hilton plaza. 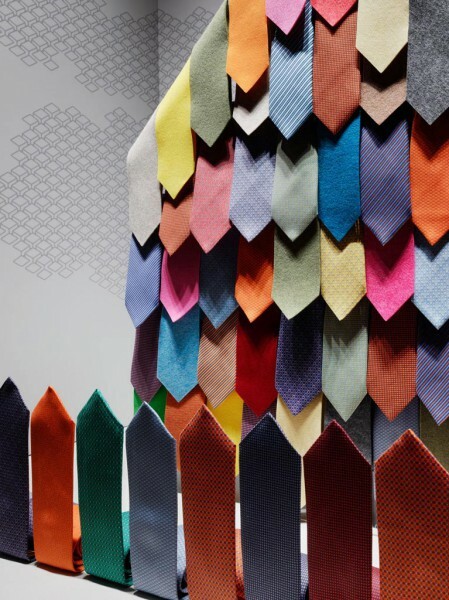 Like the picture book story of ‘Swimmy’, we thought about how we can gather many individual thin ties together to create the shape of a large tie as well as a house. 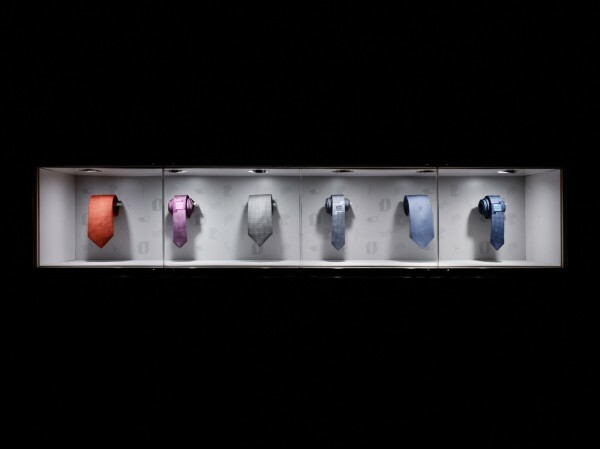 We also included ties made from felt to accent the colorful image of this tie series. 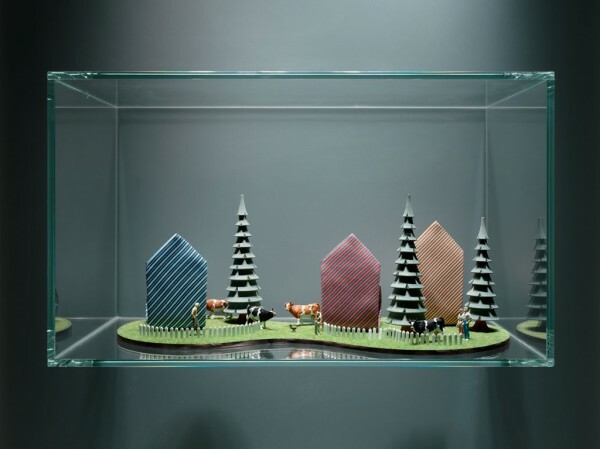 In the small display windows we set up the ties upside down to resemble the shapes of houses, and little worlds are created around the ties as we placed miniature objects placed around it. 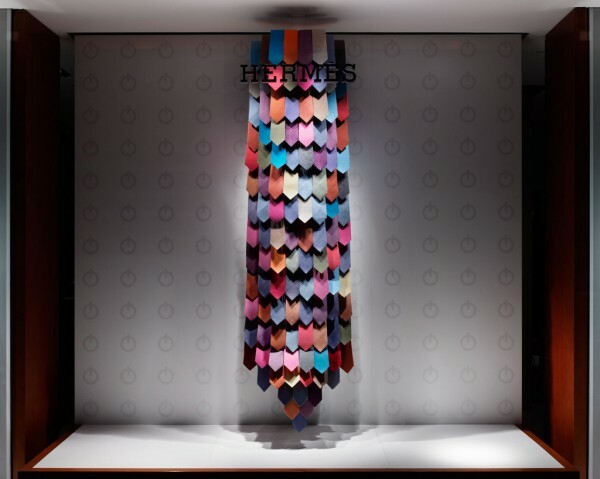 We maximized the tie’s characteristic shape and reconsidered it in a different scale in order to stage these windows to create new ways to view the tie.